It’s common knowledge that your liver is a champion when it comes to regeneration. It’s actually one of the few internal organs in the human body that can robustly regenerate itself after injury. Other organs such as the heart and lungs do not have the same regenerative response and instead generate scar tissue to protect the injured area. Liver regeneration is very important to human health as the liver conducts many fundamental processes such as making proteins, breaking down toxic substances, and making new chemicals required to digest your food. Over the years, scientists have suggested multiple theories for why the liver has this amazing regenerative capacity. What’s known for sure is that mature hepatocytes (the main cell type in the liver) will respond to injury by dividing and proliferating to make more hepatocytes. In this way, the liver can regrow up to 70% of itself within a matter of a few weeks. Pretty amazing right? So what is the source of these regenerative hepatocytes? It was originally thought that adult liver stem cells (called oval cells) were the source, but this theory has been disproved in the past few years. The answer to this million-dollar question, however, likely comes from a study published last week in the journal Cell. 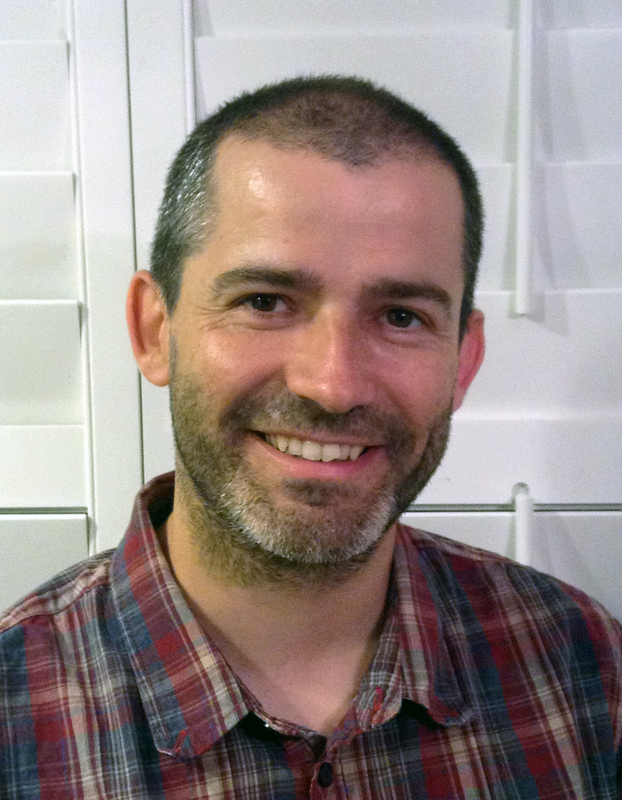 A group at UCSD led by Dr. Michael Karin reported a new population of liver cells called “hybrid hepatocytes”. These cells were discovered in an area of the healthy liver called the portal triad. 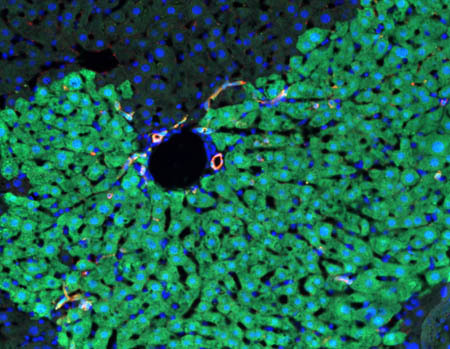 Using mouse models, the CIRM-funded group found that hybrid hepatocytes respond to chemical-induced injury by massively dividing to replace damaged or lost liver tissue. When they took a closer look at these newly-identified cells, they found that hybrid hepatocytes were very similar to normal hepatocytes but differed slightly with respect to the types of liver genes that they expressed. A common concern associated with regenerative tissue and cells is the development of cancer. Actively dividing cells in the liver can acquire genetic mutations that can cause hepatocellular carcinoma, a common form of liver cancer. What makes this group’s discovery so exciting is that they found evidence that hybrid hepatocytes do not cause cancer in mice. They showed this by transplanting a population of hybrid hepatocytes into multiple mouse models of liver cancer. When they dissected the liver tumors from these mice, none of the transplanted hybrid cells were present. They concluded that hybrid hepatocytes are robust and efficient at regenerating the liver in response to injury, and that they are a safe and non-cancer causing source of regenerating liver cells. Currently, liver transplantation is the only therapy for end-stage liver diseases (often caused by cirrhosis or hepatitis) and aggressive forms of liver cancer. Patients receiving liver transplants from donors have a good chance of survival, however donated livers are in short supply, and patients who actually get liver transplants have to take immunosuppressant drugs for the rest of their lives. Stem cell-derived liver tissue, either from embryonic or induced pluripotent stem cells (iPSC), has been proposed as an alternative source of transplantable liver tissue. However, safety of iPSC-derived tissue for clinical applications is still being addressed due to the potential risk of tumor formation caused by iPSCs that haven’t fully matured. This study gives hope to the future of cell-based therapies for liver disease and avoids the current hurdles associated with iPSC-based therapy. In a press release from UCSD, Dr. Karin succinctly summarized the implications of their findings. We at CIRM are always thrilled and proud to hear about these success stories. More importantly, we value feedback from our grantees on how our funding and training has supported their science and helped them achieve their goals. Our mission is to develop stem cell therapies for patients with unmet medical needs, and studies such as this one are an encouraging sign that we are making progress towards to achieving this goal.